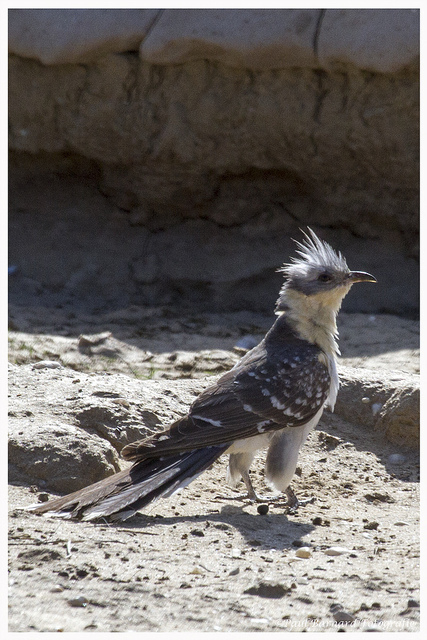 The Great Spotted Cuckoo is a large cuckoo, that breeds in Spain. It lays its eggs in the nests of magpies and let them raise the young cuckoos. 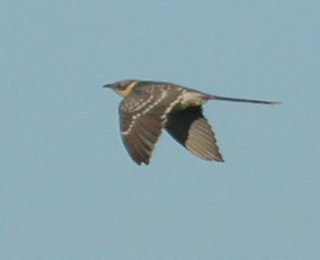 Throat and chest appear yellow. Typical are the white stripes on the wings.